Ever since the BB cream rave started, a couple of you have always wanted me review one or share my thoughts on any that I've tried. I didn't consider them a necessity and since I hadn't seen a lot of reviews in their favor by other women of color, I didn't have a pressing need to go look for them. 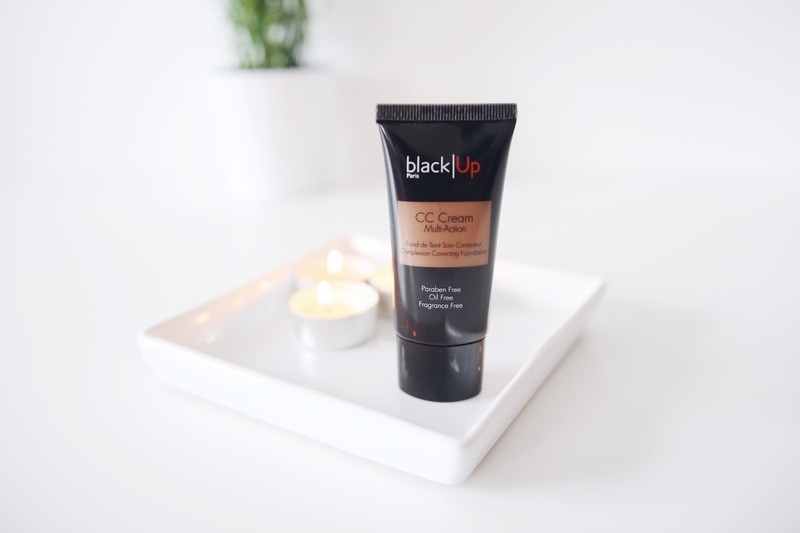 Of all the BB creams that I ever came across, the Black up multi action cc cream was the only one that I ever gave serious consideration. I honestly get the appeal that these BB creams have, since most of them claim to do a million and one things at once. Who doesn't want that one product that could do it all? they often claim to give good coverage, prime, control oil and fill in pores all at once, like come on! we all want something like that. 6. SPF Free** : 100% no ashy finish guaranteed ! On the Black Up website, this product has two recommended uses. 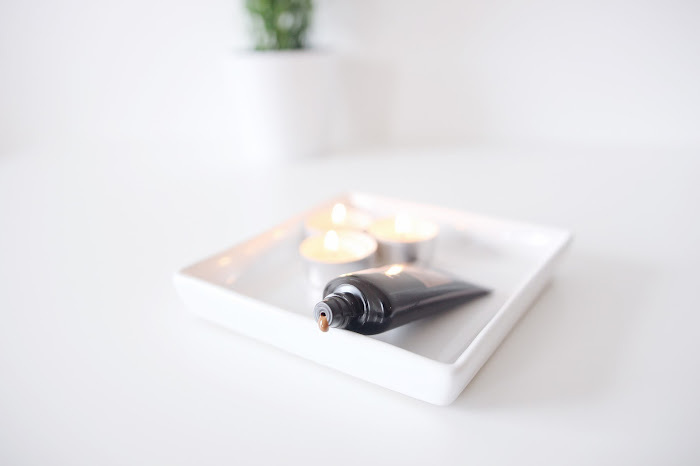 According to them it can be used as a foundation for a bare skin finish or as a primer. Since this is my first CC cream, I will not be comparing the Black Up multi action CC cream to any other CC cream or BB cream. This product retails for £27 (I have a lot of foundations that have cost me way less) and I'm in the shade CC 04. It comes in a small tube that contains just 1.20 FL. OZ of product. The coverage that you see in the picture above took quite a bit of layering to achieve so it is in by no means full coverage. It gives very light to medium coverage so I will not recommend this for any one who has significant amount of hyper-pigmentation on their face. In all honestly, I'd rather go bare faced than use this to achieve light coverage, I'm not a fan of those, its either I go all out or I don't. The only thing that I really like about this CC cream is the fact that it does a good job holding oil at bay. I used it as a primer in one of my recent videos and it works better as a primer than anything else. The good thing about using this CC cream as a primer is that it eliminates the color correcting step, for anyone who would normally color correct. It evens out the skin tone and creates a more even base for your foundation to go on. It has very liquid consistency so bending is not chore. All in all, would I really recommend this? No, especially for people with hyper pigmentation and also considering the price that it sells for. If your skin is boderline perfect (I know people with those) please go ahead. It will give that barely there skin like finish. However if you are someone who struggles with hyper-pigmentation, this products will not give you needed coverage. I want to try a CC cream soon, but haven't decided which brand to go for. I currently use a Maybelline BB cream which isn't too bad. I've never really seen the point of a bb cream. Just as you said it's either I go without or all out. Great review Hun! I have never seen the point of bb cream and cc cream I prefer my foundations or to go bare faced. As always, great honest review! I really like the idea of BB/CC creams. I tried some before I settled on the Black Up one which is my fave. I like the barely-there, my-skin-but-better look, especially for daytime/every day wear, and this CC cream evens out my skintone, and controls oil. I also like to use it as a primer. It is definitely on the pricier side, though. 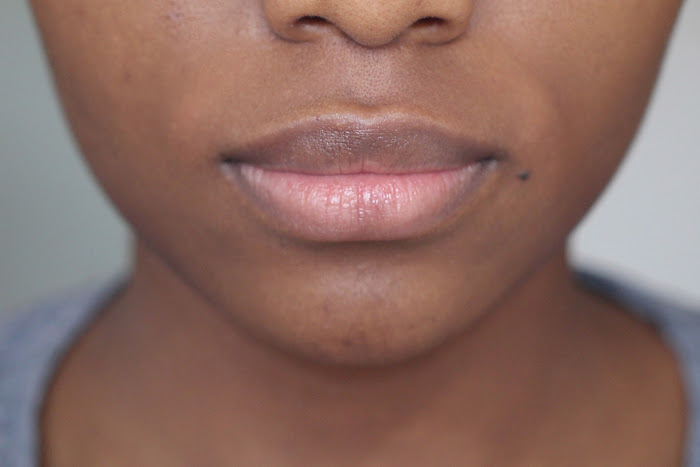 I have extreme hyperpigmentation,so I have not really seen a CC cream that does the magic. I seem to be the only one who hasn't tried a black up product.BB/CC cream loading. What shade did u use here.